Whether at a folder, at a board or anywere else where you want to fasten papers board clips are a ideal tool. You can choose between different sizes of board clips. 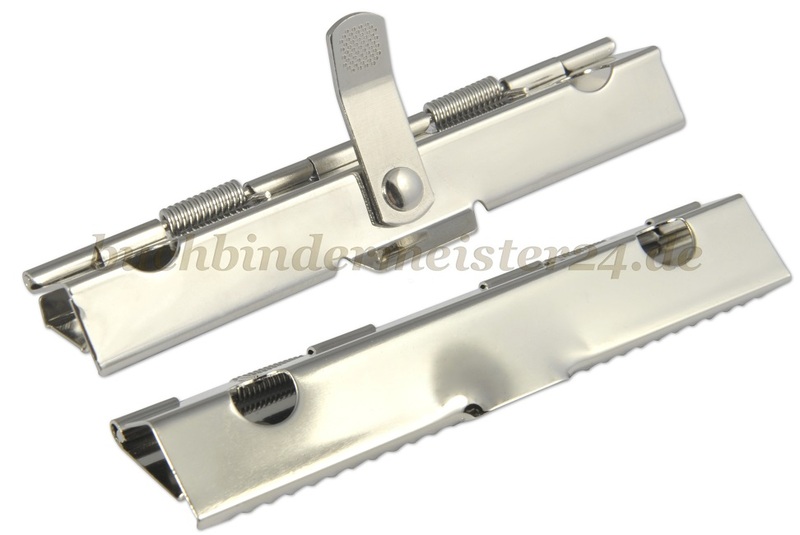 Further more we offer board clips with a lever. Because of this lever the board clips can be opened easily and comfortable. Of course board clips can be used not only for papers. They are a versatile fastener. The board clips have two or three holes on the base plate and can be attached easily by rivets or screws.